Bethesda, Chevy Chase, Potomac, Georgetown (DC), Old Town Alexandria & Great Falls, VA.
To be the best plantation shutter company takes a commitment. 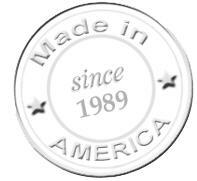 "Made in the USA" is Perfect Fit Custom Shutters’ commitment to you, which means we support job creation and job preservation in the US by using only components made in the USA and manufacturing our own shutters right here in Maryland. 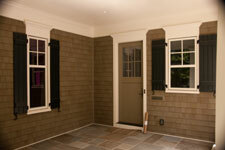 Read more about our custom shutters now. Our unique manufacturing process and factory-direct pricing allows us to deliver plantation shutters in about 3-4 weeks at competitive costs. Perfect Fit Custom Shutters has earned an excellent reputation with homeowners and designers for its exceptional quality, custom installation and excellent customer service. 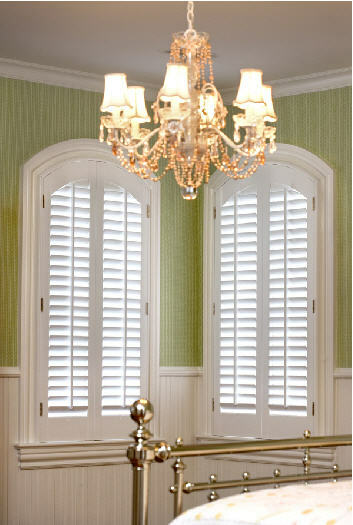 Nothing adds elegance, beauty and value to a home like our custom plantation shutters. For any room in the house, Perfect Fit Shutters can assist you with creating an elegant, furniture-quality shutter treatment. Since each order is handmade at our local factory, we are able to accomodate any window shape and size. And no one creates these gorgeous furniture-quality shutters like Perfect Fit Shutters. Read more about our interior custom designed plantation shutters on our website. We use only 100% solid hardwoods (Basswod & Poplar).Our wood shutters are lightweight hardwoods noted for their exceptional stability and resistance from warping and shrinkage. Due to incredibly low resin content, resins will not bleed through the finish. Combined with our multi-step finishing process of priming, sanding and top coating, you create a superior furniture quality finish. Our manufacturing process combines the sophistication of computerized cutting and drilling with detailed hand tooling to produce shutters of exacting standards and quality. Visit our website now to get complete specs on our solid wood interior plantation shutters. 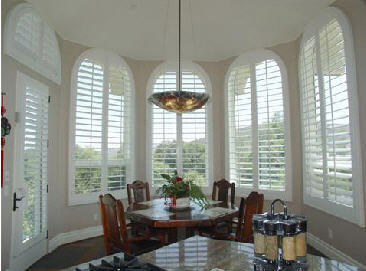 Perfect Fit manufactures the finest plantation-style shutters available. Each shutter is manufactured locally, offering low, factory-direct pricing. We always provide complimentary design assistance and skilled installation. Our quality and pride is supported by our limited-lifetime warranty. Our exterior shutters are custom manufactured and meticulously hand assembled to meet the highest quality standards of historical and architectural authenticity. Whether you are bringing new life to a historic residence, putting the final touch on a summer retreat, or simply want to add lasting elegance to your family's home, we can make the shutters that you want. 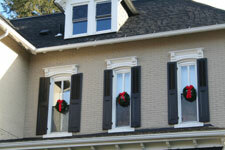 See some of our custom exterior shutters on our website. 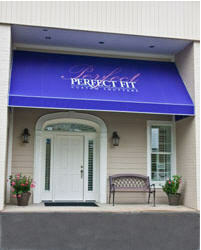 Read testimonials about Perfect Fit Shutters and their shutter design and installation services. I returned from being out of town last night to see the shutters installed. They look great! Thank you both for working with me from start to finish. I very much appreciate your attention to detail, communication, and of course, the final product. Already a neighbor has commented on how great the shutters look. I'll certainly refer you to others as they ask. Again, with many thanks." Our traditional style shutters have a 3/4" inch stile with 1-1/4" wide louvers. 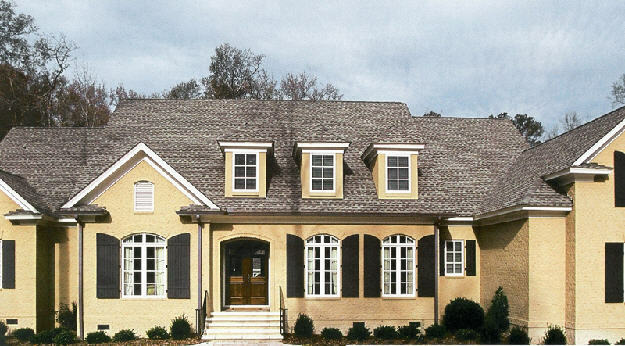 Some traditional style shutters have flat louvers, but most are wedge shaped with a vain, or ridge, down the center. The small slats generally are spaced on one inch centers. Traditional shutters can be made in a number of panel configurations depending on the width and height of your window opening. Traditional style shutters have been native to the North East US since colonial times. They are a common fixture in early American style houses dating back to the pre-revolutionary period. Throughout the years traditional style shutters have spread west into homes with a quaint or country decor. Large numbers of manufacturers produced traditional wood interior shutters, distributing them through window covering specialists and lumber yards. Visit our showroom and see our factory online now. 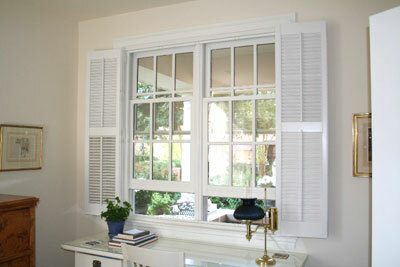 Window Treaments, Custom Traditional & Plantation Shutters serving Montgomery County, DC, and Northern VA. 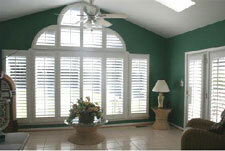 Custom 100% wood window treatments in plantation and traditional shutters that are made in America.